Baddeck and the Cabot Trail are the furthest north we wanted to go. 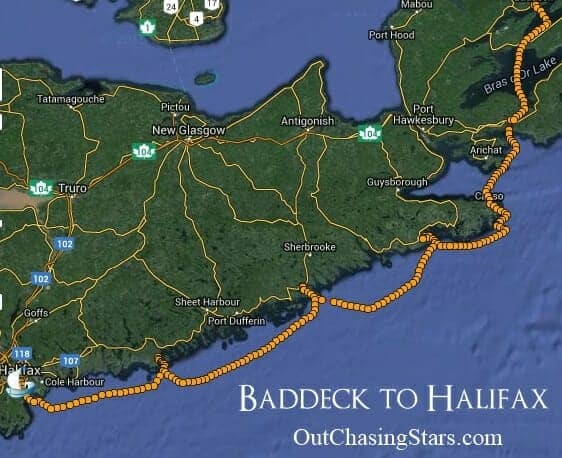 We have plans to be back in Halifax on Thursday August 27th, so we are turned around and made our way back south. After the Cabot Trail, we spent two more nights in Baddeck. On Sunday the 16th, we went to the Alexander Graham Bell Museum, a short walk away from the downtown area. The museum was really interesting. I learned a lot about Bell’s work that I didn’t know, including his inventions and education of deaf children and the hydrofoil boats that he developed. They even had a replica and parts of the original hull of the HD-4, the vessel that set the marine speed record of 70.86 miles per hour in 1919. We greatly enjoyed Baddeck. 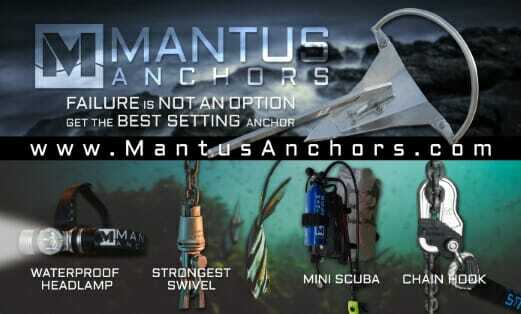 We stayed anchored out the whole time, but we used Baddeck Marine for any marine services we needed. Thy gave us a pump out, provided use of their dingy dock, and we took advantage of their launch service, so that we could leave Little Dipper (our dingy) on SH while we were gone. They also checked on SH during their morning rounds and answered my calls every day to check on things. David also browsed the store, but they didn’t have a specific part we needed. On Monday, we left and headed south, back through the Barra Strait and the St. Peter’s. The trip that took us almost 10 days meandering up took us about 6 hours on the way down. Unfortunatly the wind was from the south, so we were unable to sail, but it was very light anyway (less than 10 knots) so we motored the whole time. Back in St Peter’s we anchored for the night with plans to leave in the morning after a few errands in town. On our way back to the dock, the harbour master stopped us to tell us that the lock was out of order. They were going to open at 2 pm for low tide, and hopefully it would get fixed in the afternoon. Our next stop was Canso, 25 miles away, and leaving at 2 pm or later would put us into harbor after sunset. So, we opted to stay one more night in St Peter’s and enjoy the internet. The lock was in full operation Wednesday morning (the 19th). We went through the lock mid-morning, with another cat! This one was a PDQ power cat, Diva Di. 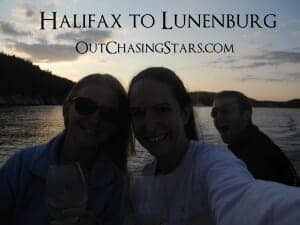 Once outside of the lock, we headed to Canso, where…we did nothing. I was feeling a little under the weather and the fog was incredibly thick, so we stayed put and hung out on Starry Horizons for three nights. The only cruising boat we saw the whole time was the mega yacht, Solia, who we’ve seen several times before. They anchored for a few hours behind us, made some trips in the dingy and then left. After Canso we left for Tor Bay, and anchored just east of Webber Cove. Tor Bay has a town further north, and the whole bag is quite large, with plenty of anchoring options. We spent two nights there. I inflated the kayak and enjoyed a good paddle around Webber Cove, even spotting a fox. Next we did a very bumpy sail headed to Liscomb River and anchored for two nights in Spanish Ships Bay, where we were all alone, surrounded by a few houses and a road. Again, I kayaked up a few of inlets and got the pleasure of being incredibly close to two bald eagles. And the closest we will probably get to seeing a moose – one of the local docks had a moose skull. For our last stop down the coast, we chose Owl’s Head Bay. It was rough, even though we tucked as far in as we could on the east side of the bay. For most of these sails, the wind was behind us, but pointing in and out of the bays gave us a rough ride until we got behind the shelter of land, or able to turned downwind. Some of these would have been very risky in a lesser boat.We are thankful Starry Horizons handled everything well. So now we are back in Halifax, at our same spot in Bishop’s Landing, where we have reservations for two nights. Big plans this upcoming week!